Balance your body - without the drugs. Hi, I'm a third generation Upper Cervical Doctor of Chiropractic, and the 25th Palmer College of Chiropractic graduate in my family. This unique background allows me to help you regain the life you used to have before that first injury, or before you got older; or maybe the life you've always dreamed of, but never quite managed at all. What we do is about hope. It’s about feeling good & living right. It’s simple truth - your body has the ability in every cell to repair whatever you are suffering from. That healing process will begin any time you're ready - but first you must remove the barriers. 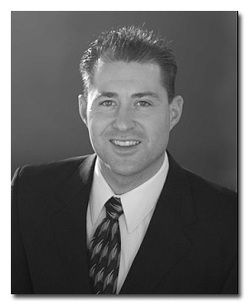 After graduating from Palmer College of Chiropractic in Davenport, Iowa, I studied advanced Upper Cervical techniques and have practiced in Malaysia, Alaska, and now California. We wish you true health and a happy, prosperous life. Join me on the journey to health. It begins here, with The Upper Cervical Difference.